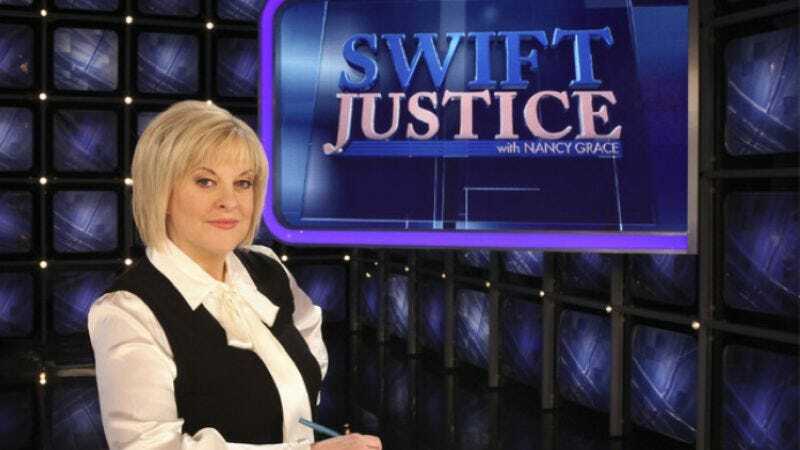 In news that was nearly lost amid certain other high-profile exits, Nancy Grace has uncharacteristically quietly announced that she will no longer offer her severe brand of pantsuit-aided prosecution on Swift Justice, exiting the syndicated courtroom series after a single season. Grace cited her reasons for leaving as strictly personal, saying that she wasn’t willing to follow the show as it moved its production to Los Angeles, as it was more important than ever that she stay home in Atlanta where she can keep a closer stinkeye on her children. Nevada District Court Judge Jackie Glass—best known for presiding over O.J. Simpson’s robbery trial in 2008—will take over for Grace, who will continue reigning over her eponymous CNN show, the nation’s top-rated program about screaming at negligent mothers.